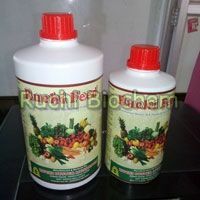 For excellent quality Multi Micronutrient Fertilizers, you can contact us. Our companyâ��s name figures in the list of prominent Manufacturer, Supplier and Exporter of Multi Micronutrient Fertilizer from Maharashtra. The Multi Micronutrient Fertilizer we make available is formulated in accordance with set international quality standards and norms. Owing to our reliable logistics network, we are capable of delivering bulk orders of the Micronutrient Fertilizer within stipulated time.